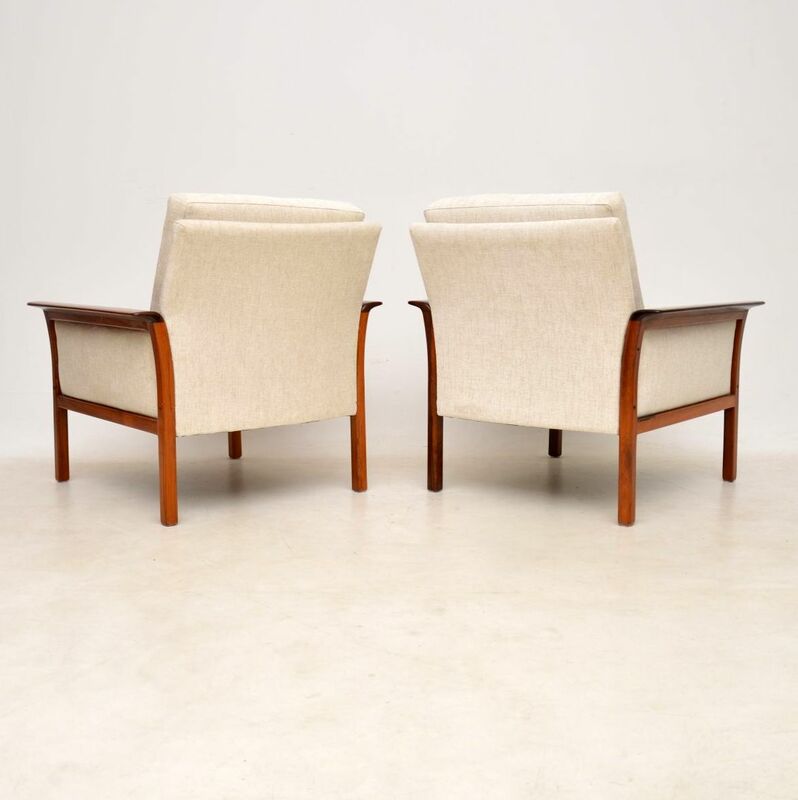 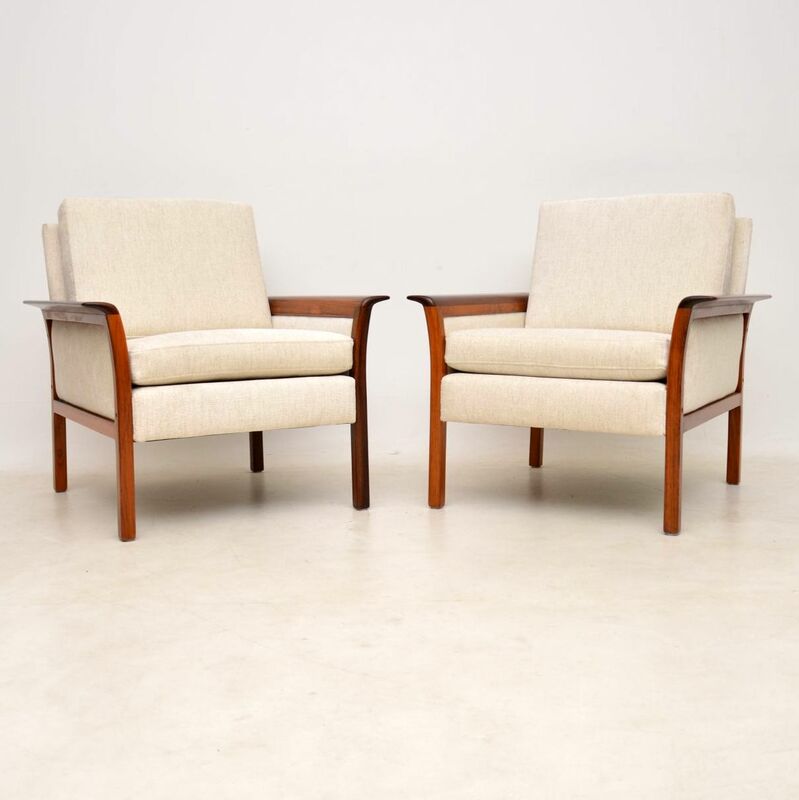 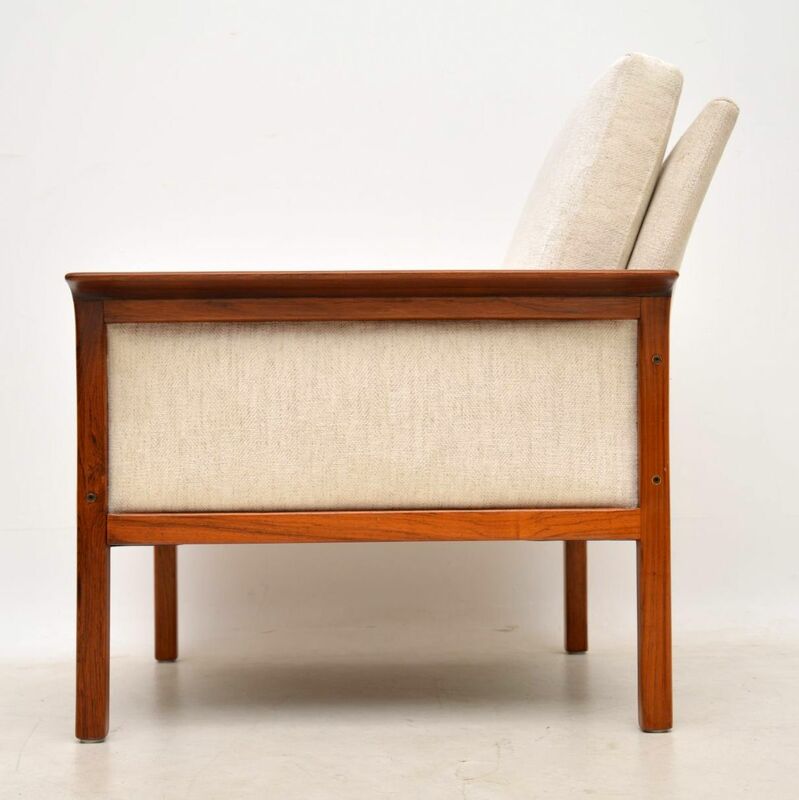 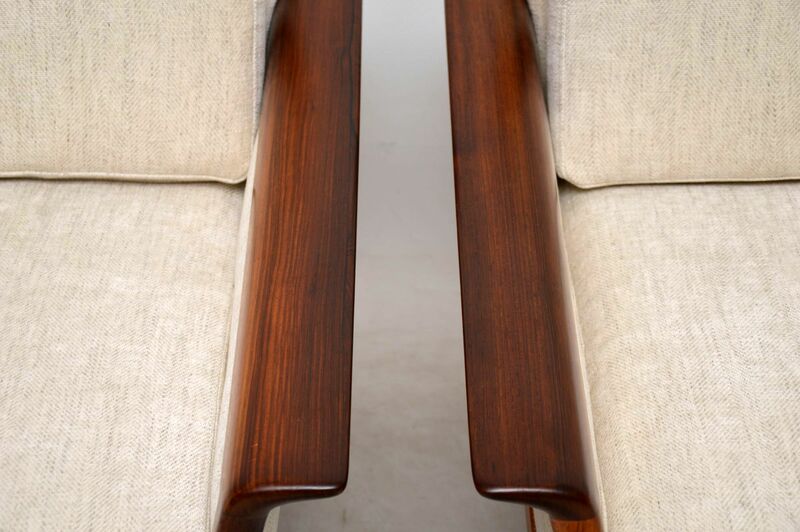 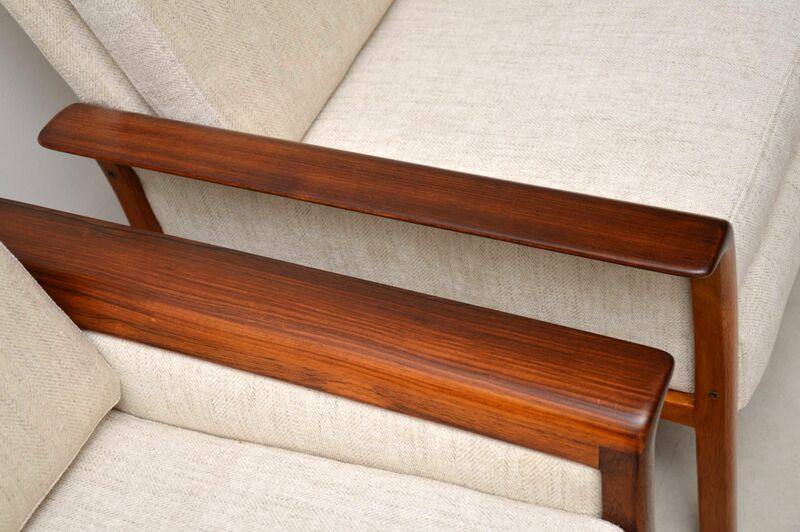 A stunning pair of vintage rosewood armchairs, these were designed by Knut Saeter for Vatne Mobler in Norway. 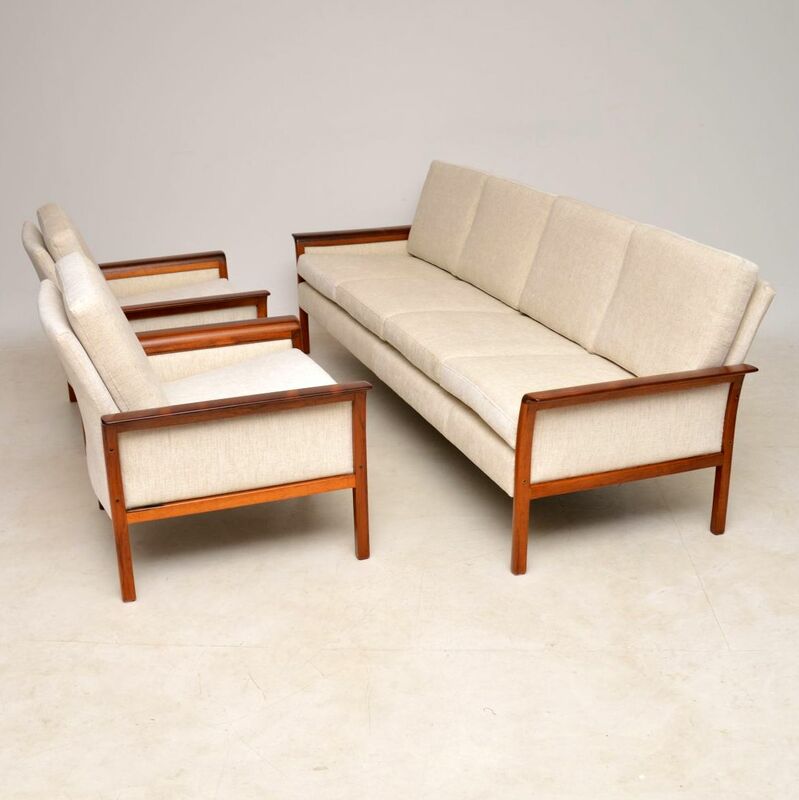 Knut Saeter was actually the founder of the high end furniture company Vatne Mobler, and this set was designed in 1962. 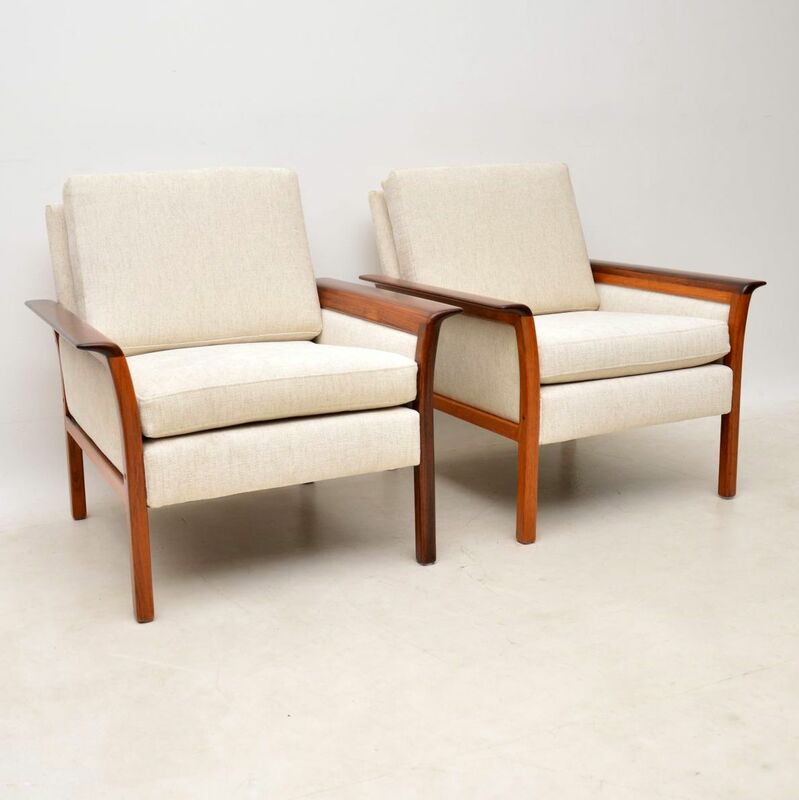 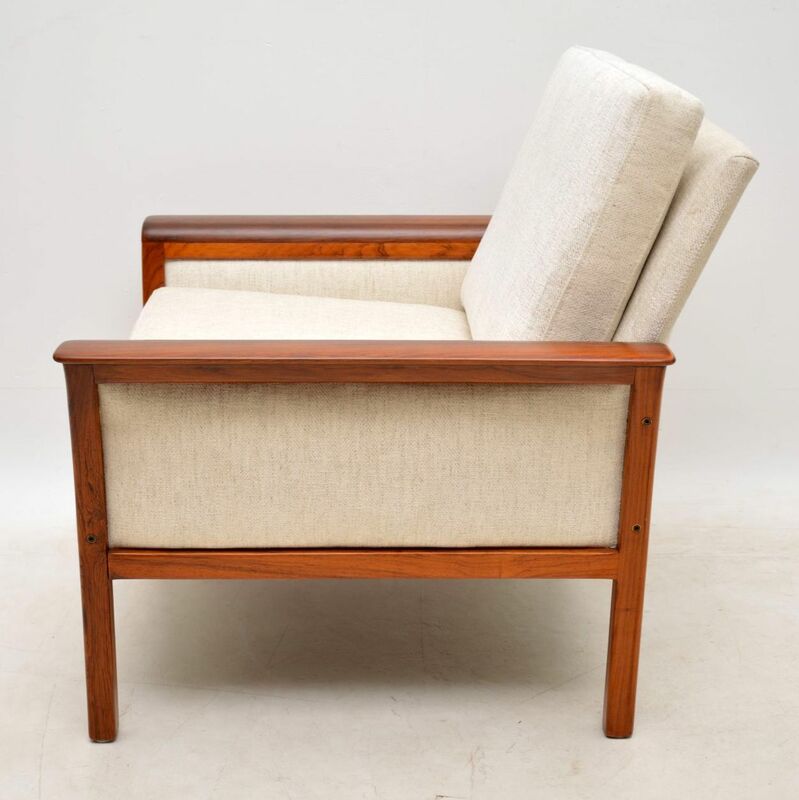 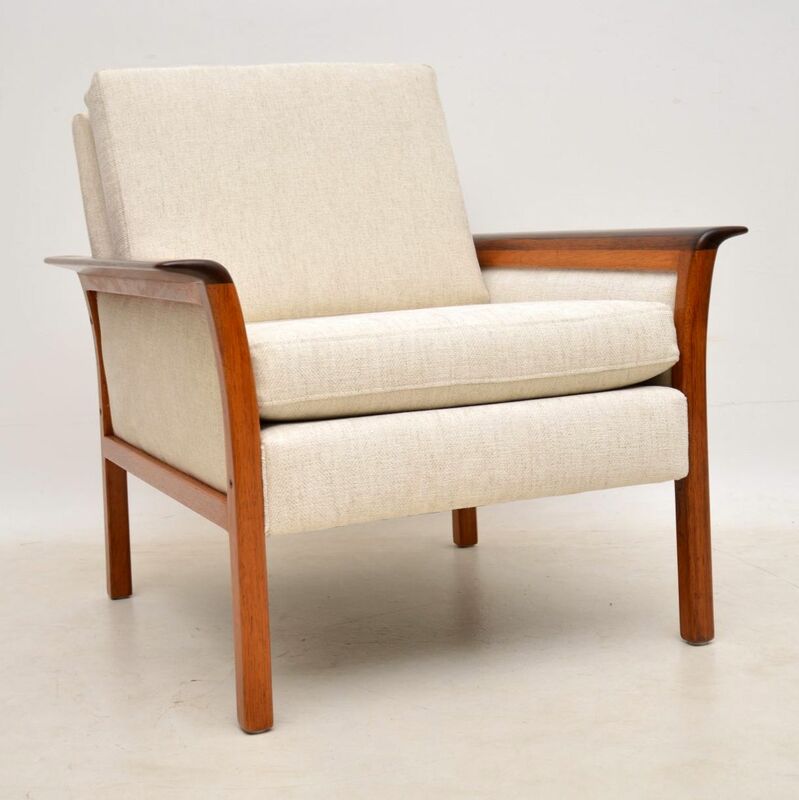 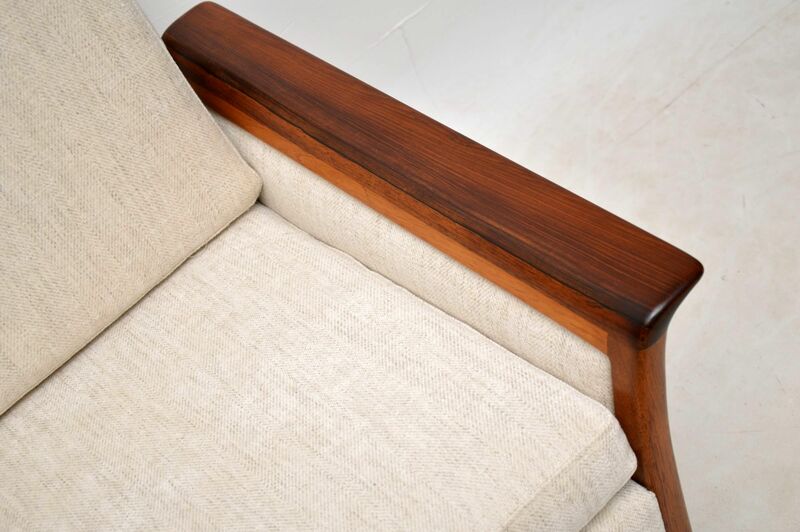 These particular ones date from the 1960’s, we have had the frames stripped and re-polished to a very high standard, the cushions have been newly made, both chairs have been fully re-upholstered in a high quality off white fabric; the condition is absolutely superb for their age. 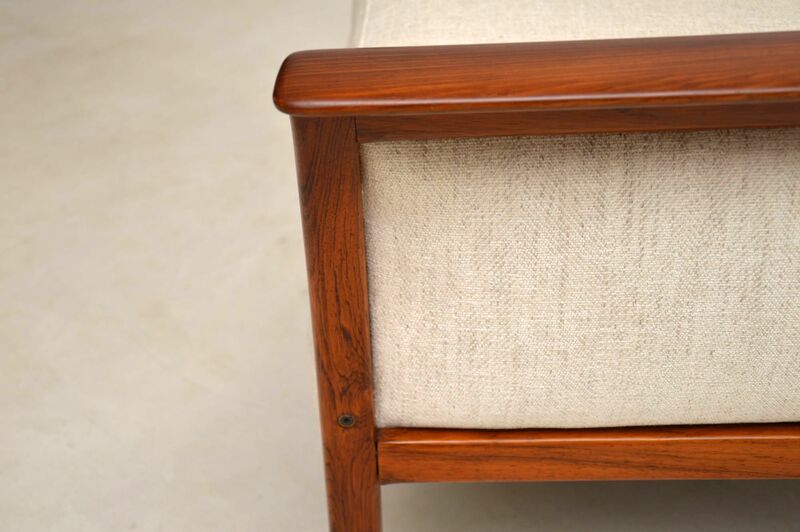 The frames have a beautiful colour and striking grain patterns throughout. 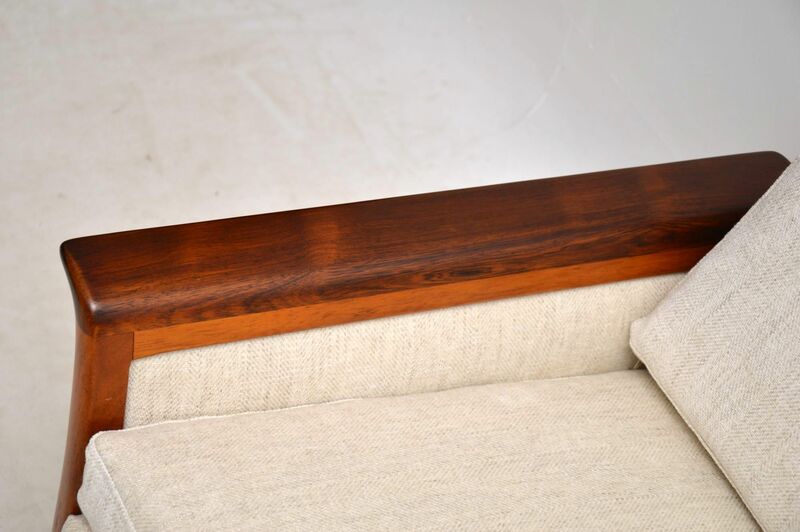 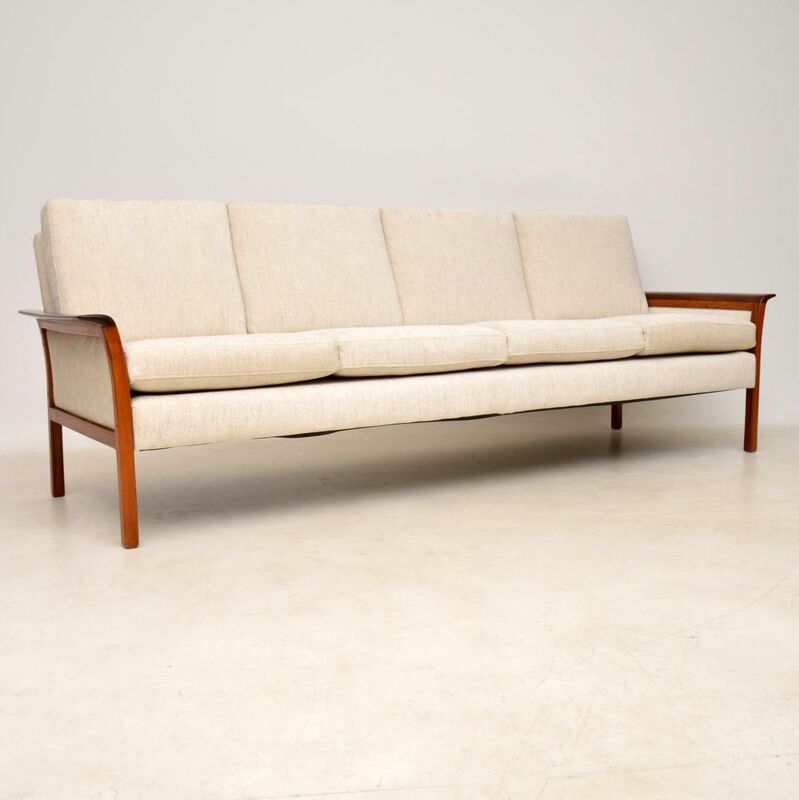 We also have the matching four seat sofa available separately, seen listed under our other items for sale.